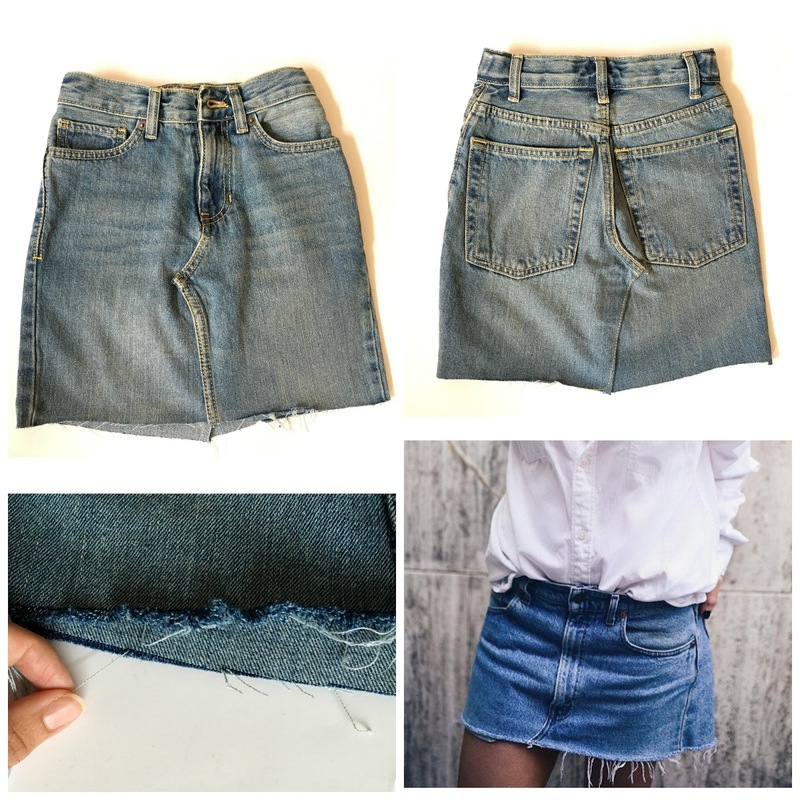 Trash To Couture: DIY Denim Skirt From Jeans. DIY Denim Skirt From Jeans. Measure and cut the length you want. Cut the interior along the seam and upward towards the zipper. Same for the back…just don't cut too far up. Pin into place and top stitch using a gold thread along the OUTER stitches. Create a top stitch pattern for the back. I didn't have time to do another line, but you can do a double stitch to follow the pattern. Either way, hope I brought you back to the "good old days…"